Chalet Arthur is compromised of three apartments. All can be interlinked to provide one big chalet sleeping up to 26 in total, or Arthur One and Three can be connected to provide an 18 bed chalet, or, Arthur Three and Two can be linked to make a 17 bed chalet. You will receive a 10% reduction in the published price if booking all three. Chalet Arthur One is a ground floor apartment with a traditional Morzine style interior. There are three bedrooms and the apartment can sleep up to nine people in total. There are three bathrooms across the apartment, each with it`s own w.c. and each has a shower. There is a living area which includes a small comfortable seating area, a dining area and a small well equipped galley style kitchen area. Bedroom 1: Quad room with 2 singles and a set of bunks. Bedroom 2: A double and a single. Chalet Arthur One is in a fantastic location right near the base of the new gondola at Le Pleney. This area is the main access to the Morzine and Les gets ski area. This perfect location means you are minutes away from catching that bubble and getting fresh tracks before anyone else. All the ski schools and the club Piou Piou also meet at the bottom (or top) of this lift. From Pleney you can also catch the little road train which goes directly across the village to the Super Morzine gondola. This provides ski access to Avoriaz and beyond, deeper into the Portes du Soleil. There is also the main ski bus stop a few metres from the apartment. This again provides many options to reach all the key lift stations in the area. The apartment comes with free wi-fi, English TV and there is a parking space for each apartment at the rear of the building. There is also a ski store and a bike store. All in all this is a very functional apartment in a perfect location if you are keen skiers and looking for quick and easy access to the Pleney (Morzine/Les Gets) ski area. It is ideal for families with children who need to be at ski school each morning, or of course for groups of friends looking for fresh tracks on those bluebird powder days! Chalet Arthur One also has wheelchair access. Chalet Arthur is in an ideal location just opposite the Pleney telecabine and a short stroll to the town centre. There are various options for child care in Morzine. 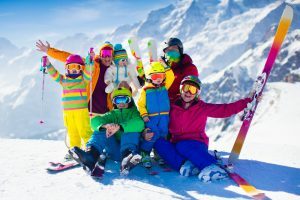 Your choice will depend on your child's sociability, where you plan to ski most often and where your self-catering chalet or apartment is located. Pre booking is recommended especially during school holidays. Great chalet again - can’t fault the location. Spotlessly clean on arrival as usual and welcome pack a nice touch. Plenty of cooking implements and different sized dishes plus a nice touch to have the plastic set for the plethora of kids in our group! Would also say, it’s brilliant to not run out of hot water - sounds daft but given the party size we have never had an issue at Chalet Arthur. We will no doubt be back again! Great chalet again - can’t fault the location. Spotlessly clean on arrival as usual and welcome pack a nice touch. Plenty of cooking implements and different sized dishes plus a nice touch to have the plastic set for the plethora of kids in our group! Would also say, it’s briliant to not run out of hot water - sounds daft but given the party size we have never had an issue at Chalet Arthur. We will no doubt be back again! We were really pleased with the chalet, it was very cosy, clean and comfortable. The heating was excellent and there was always plenty of hot water. We particularly liked the largest shower room, that was great. The location was amazing - it was just SO nice to be so close to the lift in the morning, and also meant I could pop back for things I\'d forgotten in the day without any problem at all! Also handy in the evenings to pop out for supper. Kitchen well stocked and easy to cook from, I had thought it was going to be too small but was pleasantly surprised. Fantastic chalet in a super convenient location - just a few steps from everything you need (lift, ski hire, restaurants, children's slopes). Kitchen well stocked with cooking requirements for self catering. Chalet manager helpful and quick to respond to requests. Transfer service were prompt, helpful and great drivers. Thanks for a lovely stay! Firstly we had a great week skiing. 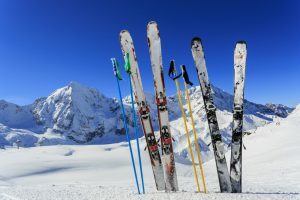 The recommended transfer company were efficient and competitively priced as was the ski hire company that was recommended. 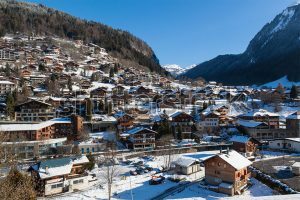 The chalet is ideally situated in the centre of Morzine for either the Pleney chair lift and although that wasn't in operation during our stay it was only short walk to the ski bus - which when in ski boots is a definite plus! The chalet itself worked really well - the bedrooms are small but the living space is big enough and the real bonus is having 3 bathrooms. Resort manager - Pete and also Ben were at hand to answer any queries which they did promptly. Will definitely visit again. A great apartment in a fantastic location literally two minutes away from the Pleney lift. Chalet Arthur One is well equipped and cosy, clean and well laid out and for the 5 of us it was great. Altitude made it easy to book everything including lift passes, airport transfers, ski hire and catering and we had excellent service from everyone involved. Having skis delivered to the door was great while Chalet Kitchen offered flexible and delicious meal options including breakfast. This was our first holiday at a self catering chalet and we all enjoyed it and found it much easier than we'd anticipated. Thank you to Pete and the Alptitude team. I'm sure we'll be back! Just come back from a lovely week staying at the nice newly refurbished Chalet Arthur Pleney. Location of the chalet is great, next to the bus stop, short walk to drop children off at ski school or Pleney lift, or walk the other way, straight into town centre.